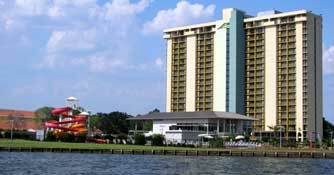 New owners, Margaritaville, will be closing La Torretta in May for renovations and improvements. Plans are to reopen in 2020! 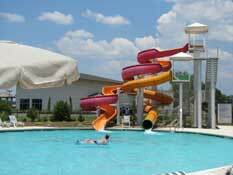 La Torretta has an 18 hole 6921 yard golf course that offers you an enjoyable round of golf. 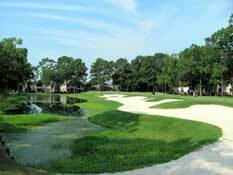 The golf course, formally known as Del Lago, had been neglected until La Torretta took it over in 2009. As a part of over $130 million in renovations to the Resort, Jeffery Blume was hired to redo and improve the course. Jeffery made a number of changes and in general he improved the visual aesthetics, maintainability, and playability. We really enjoyed playing La Torretta Golf Course and found it in good condition, somewhat challenging, and fun to play. The layout plays through relatively flat terrain with fairways lined by tall hardwoods, some of the golf villas, and a few homes. This is a course that will test your golf skills and patience if you can't hit the ball pretty straight. We frequently heard our golf ball ricocheting off the trees like it was chasing squirrels, but the good news is that we were able to find it laying in the pine needles and could usually chip a worm burner back to the fairway. The fairways can be tight with several dog legs, water, swales, some good sized bunkers, and well guarded greens to help keep you on your game. Make sure you pick a set of tee boxes that fit your handicap and if you can keep the ball in the fairway, you'll have a good round. We rated La Torretta Golf Course an 8.3 out of 10 and can't wait to get back and play it again. 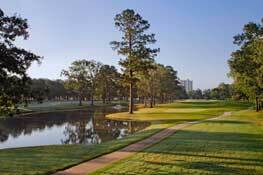 Read our review of La Torretta Golf Course to learn more about the course. 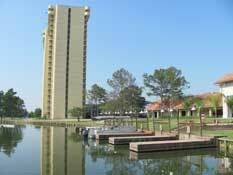 Another good reason to pick La Torretta Resort if you like to golf is because it is surrounded by a number of excellent courses. Within 40 minutes of your hotel room there are 12 public and several private courses to choose from. You can use this interactive golf map to quickly find a nearby course, read our review, and check out their website. 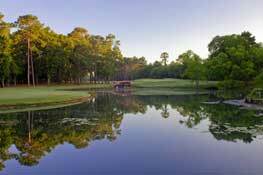 Some of our favorites include: Wedgewood, The Links at West Fork, Wood Forest, Blaketree National, and Panther Trail at the Woodlands. If you have reciprocal rights, Walden Golf Course is right around the corner and Bentwater has three very good courses. Here is a link to our golf map to find nearby private clubs. After closing the bars and a fun filled day golfing, swimming, boating, playing tennis, and working out, we were ready for the soft comfortable beds and a good nights sleep so we'd be able to get an early start on the next morning's activities. 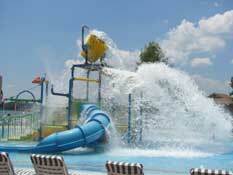 La Torretta offers you a choice on lodging that will fit your budget or group size needs. When we visited, we stayed in one of the two bedroom suites and loved it. 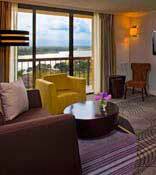 Our suite had a bedroom on each side of a large well appointed living room with a mini bar, coffee maker, flat screen TV, work table with free internet, comfy furniture, and a small balcony with an unbelievable panoramic view of the lake and marina! 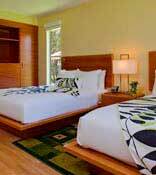 Each bedroom has a very soft queen or king bed, flat screen, work table, and a huge bathroom. Perfect for our group. 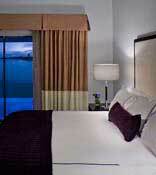 The hotel suites have all been remodeled and updated as part of the $130 million dollar renovation. The suites have a lock out capability meaning you can get a one bedroom with the living area or just stay in the lockout part of the suite which would be similar to an upscale oversized hotel room. Other choices for lodging include the Lakeside Villas or the Cottages, both of which are within walking distance to the pool and hotel lobby and other facilities. 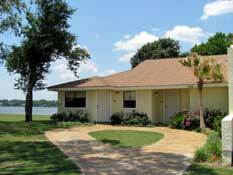 The Lakeside Villas are 1800 square feet with a living area with a large bedroom and bath on each side. One bedroom has it's own small living area. The appointments are a contemporary European design. Best of all, the lakeside villas are facing Lake Conroe and each one has a small patio and a private boat slip - it doesn't get much better than that. For golfers, you might consider the Cottage most of which line some of the golf holes. These 1350 square foot villas include two separate bathrooms with stand up shower and bath tub, two bedrooms with a king size bed and two double beds, and a separate living and dining area. They are all new, clean, and well appointed with a European flair. And the patio is a perfect place to end your round with a cold drink while you reminisce about your game, how you'll play the course different tomorrow, and watching fellow golfers trying to par the hole - watch out for stray balls. 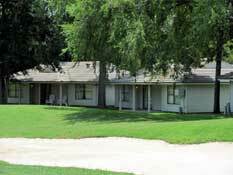 All of the Cottages are a short walk to the pro shop and driving range. The downside of staying in the Cottages is that they are a 5 to 10 minute walk to the restaurants, pool, and lobby. The only thing we found missing were accommodations with a fully equipped kitchen or at least a mini refrigerator for keeping our drinks cold. Pool Area - after a good workout or a hot day on the course, why not head over to the pool area where you'll find a huge adults only pool; a lazy river; family pool; a pool with two water slides; a wading pool; a kids pool with slides, water cannons, and lots of other water toys for the kids to enjoy; and a bar serving very good margaritas as well as a snack bar serving burgers, sandwiches, and more - it's easy to want to spend an entire afternoon here - how can you beat sitting at the pool, sipping a pina colada or margarita listening to the pool side band play some good tunes? Before you head out for your round of golf, give the miniature golf course a try - a great warm up for the greens on the championship course. If you can two putt any of these mini golf course holes then putting on the real greens will be a piece of cake. This 18 hole putt-putt course plays through some boulders and rock formations and reminds me of playing the well known and fantastic Boulders Golf Course in Scottsdale, AZ. As you make it around this course you'll find perfect conditions, excellent landscaping and colorful plants, dog legs, roller coaster and sloping fairways, water features and water hazards (a couple holes have water chutes leading toward the hole), and soothing golf music magically coming from some of the boulders. The greens have both slope and undulation, are a little fast, and hard to read thanks to subtle breaks. 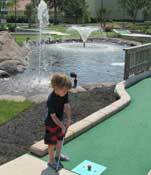 This review of La Torretta's miniature golf course is thanks to Hudson, our grandson and an up and coming 5 year old golfer who rated the course a 9 out of 10! After all that exercise, instead of swallowing some more Advil, why not visit La Torretta's Spa to "renew the mind, body, and spirit." Just walking into the Spa is relaxing and we were impressed with all it has to offer. It's huge with over 17,000 square feet, has an eco-chic ambiance, and offers the best in European-style luxury with over 20 treatment rooms where guests can choose from the full menu of traditional treatments or opt for a more exotic experience in the Hamam, Float Bath or Global Ritual. 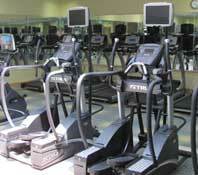 You will walk out of here refreshed, with all the kinks gone, and ready go for another full day of activities. 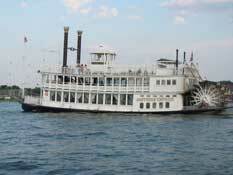 While you're at the Resort, make sure you get a local newspaper to find out what's happening on or around the lake. 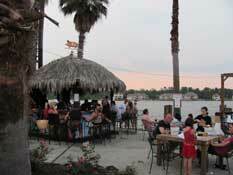 During the summer there is typically something happening each weekend and several places on Lake Conroe have live music on the weekends. 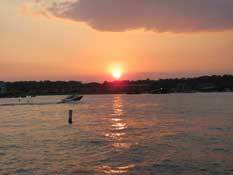 Check out our Lake Conroe map to find any of the above and more and also read our review of Lake Conroe to learn more about the lake. Of course, our favorite way to end a fun filled day is to enjoy cold drinks and some live music at La Torretta's Energie Sports Bar or the Sonata Piano Bar which is above the lobby. Those La Torretta beds are going to feel really comfortable! You won't go hungry when you stay at La Torretta, in fact you have several choices to replace the carbs you lost from golfing, swimming, or all the other fun activities. Restaurant 157 serves three meals a day, some of which are buffets. We enjoyed a good breakfast buffet with everything we needed to get the day started - eggs and omelets cooked to order, bacon, sausage, potatoes, gravy and biscuits, rolls, fruit, and more. Or there is the Mokka Cafe for bagels, coffee, donuts, and snacks. Or the Yoi Sushi Bar for some good sushi and a great view of the pool area and lake. If you're looking for a gourmet dinner, Lakeside Restaurant is perfect - it's an upscale restaurant sitting on the edge of the lake. The nearby cities of Conroe and Montgomery are loaded with a variety of good restaurants, from the chains to some quaint down home dining. 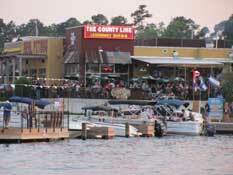 We really enjoy boating over to some of the restaurants on Lake Conroe. 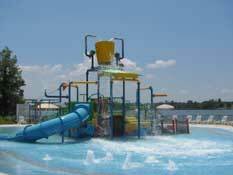 La Torretta is a fantastic place to spend a weekend enjoying all of the amenities the resort has to offer as well getting out on Lake Conroe for water recreation, live music, fun bars, and good restaurants. 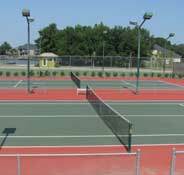 Prices are reasonable and affordable (throughout the year you'll also find a variety of specials to save you some money), accommodations are outstanding, food is good, and and the service is good. It doesn't get much better than all of that!